The heating is carried out by CPU-controlled high-quality heating elements, made of stainless steel. The steam pressure is infinitely adjustable by an integrated touch screen. 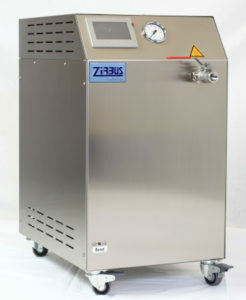 The steam container and the safety equipment comply with the European directive for pressure equipment DGRL 2014/68/EU.